Sorry I haven't been around. I've been working on a book about US domestic politics and this was launch week. So I'll be back with a lot more later. For now, I just wanted to take 2 minutes to share that, after long last, the Iraqi Army has entered Ramadi center. 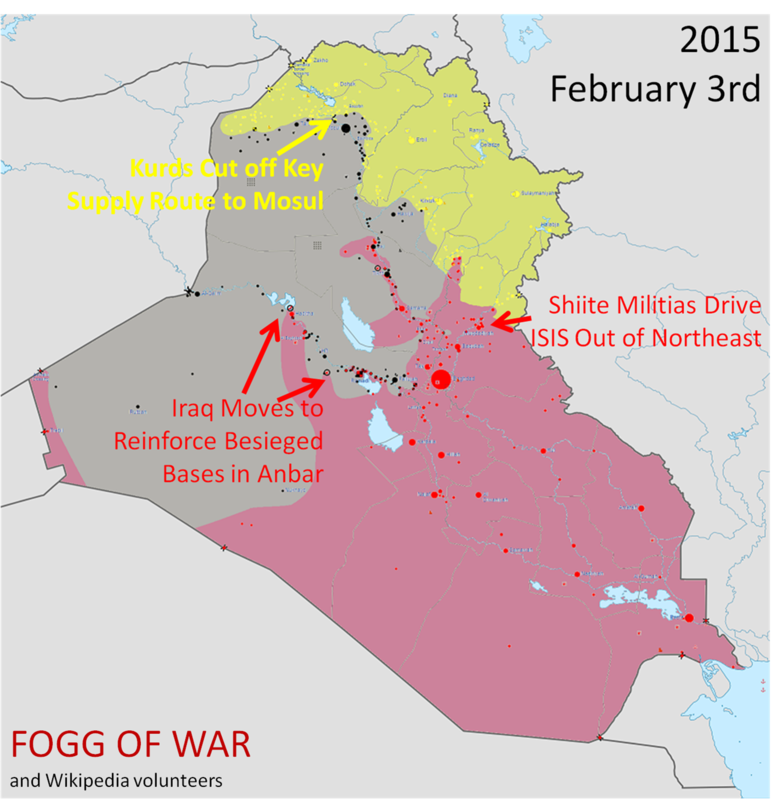 They're in good position: they've got Ramadi totally cut off from all angles and they outnumber ISIS by probably 20:1. 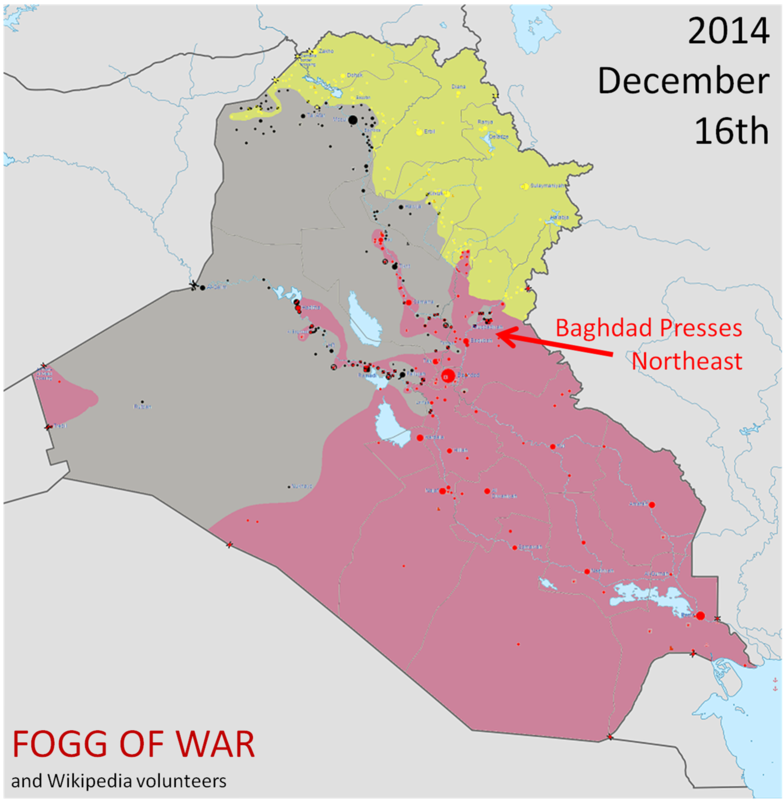 It won't end quickly like Sinjar, but now that the Army is in the thick of it, the end is in sight. In other good news, after a few backs-and-forths, the Army secured Baiji and areas north, which means they're wide open to head towards Mosul once they finally figure out Fallujah. More to come soon, but I figured you guys hadn't heard about this one yet. 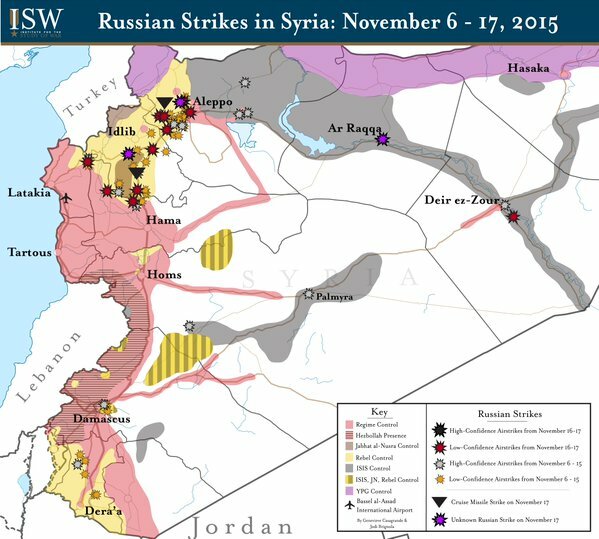 Promising stuff on Syria, Russia-Syria, Russia-Turkey, etc. Whether an armored brigade is "big" depends on the size of the pond it swims in. At about 1100 armored vehicles (Abrams tanks, Bradley fighting vehicles, and some mobile artillery), such a brigade could easily overwhelm the conventional militaries of most small countries. In the Eastern European theatre, an armored brigade is nothing close to large enough to be a game-changer. Russia's military sports about ten thousand pieces of active heavy armored equipment (tanks, fighting vehicles, and mobile artillery), most of which is dedicated to its western front. Despite the numerical gap, the US is sending such a brigade to Eastern Europe, spread out from the Baltics all the way down to Romania. What we know is that such a brigade won't be a decisive force if Russia were to invade Sweden, the Baltic countries, Romania, or Poland (all of which it's threatened to do over the past few years). Why the effort, then? Some analysts suggest it is a "symbolic" gesture for wary allies. I think a fifteen-second gut check suggests this hypothesis is weak: Eastern European countries are skeptical of NATO, terrified of Russia, and are smart enough to see past symbolic gestures. And US leadership is smart enough to see all of this. I think what's really going on is that these vehicles are there to be a "positive deterrent" of sorts. That is, rather than deterring Russia by having overwhelming strength on the battlefield, this brigade deters Russia by promising that if Russia attacks one of these countries, the US will be dragged into the war: these units are mixed in with local units and have the right to defend such territory from invasion--all these countries are NATO allies. If that happened, US assets would be attacked and destroyed, with all the shock and fury on the domestic front that would come with that. The United States' leadership would have almost no choice in the matter: they would face massive pressure to deploy more forces (probably first from Germany) in order to repel the Russians from whichever ally was attacked. For Russia the subsequent fight would be long and messy at best. If Russia lost, defeat could bankrupt the country, wreck Putin's reputation, and set the Russian military back years. Not to mention that countries like Ukraine and Sweden would likely hop on the express train to NATO and request heavy garrisoning by the US to prevent further Russian attacks. 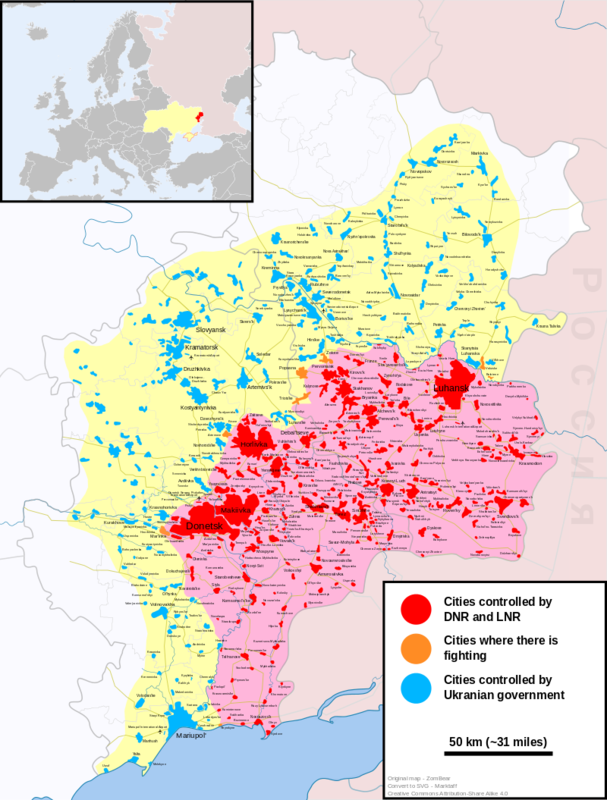 So what this brigade does is that it embodies lessons from the errors of 2004 and 2014 that allowed Russia to invade and annex parts of Georgia and Ukraine. Russia's success in those conflicts depended on avoiding getting entangled with NATO and on pitting their forces only against the small domestic forces of their target territories, and on moving quickly enough that it won the status quo in the area. Such a strategy has worked so far, but its effectiveness would quickly end once an American battle tank was destroyed on the field. Russia could not have a quick, clean victory that way, and would no longer be able to use Europe's lethargy to its advantage. Russia's leadership is also smart, and knows this. The US administration is putting American lives at risk, yes, but with the expectation that Putin will understand the consequences of attacking, and thus be far less likely to attack at all. It is a clever way of containing Russia in a world where Western European allies are afraid to get on Russia's bad side: the US uses its cowboy reputation to its advantage here, and deploys its own deterrent. The final stroke of brilliance here is that it is a force that is too small to be a credible offensive threat to Russia, so Russia not only won't feel territorially threatened, but its leadership will have shaky ground on which to pretend that it feels threatened (and thus justify an arms race). In a comparatively cheap, gentle stroke, the US has out-positioned Russia in most of Eastern Europe, putting time back on the West's side for sanctions to squeeze Russia into acquiescence. 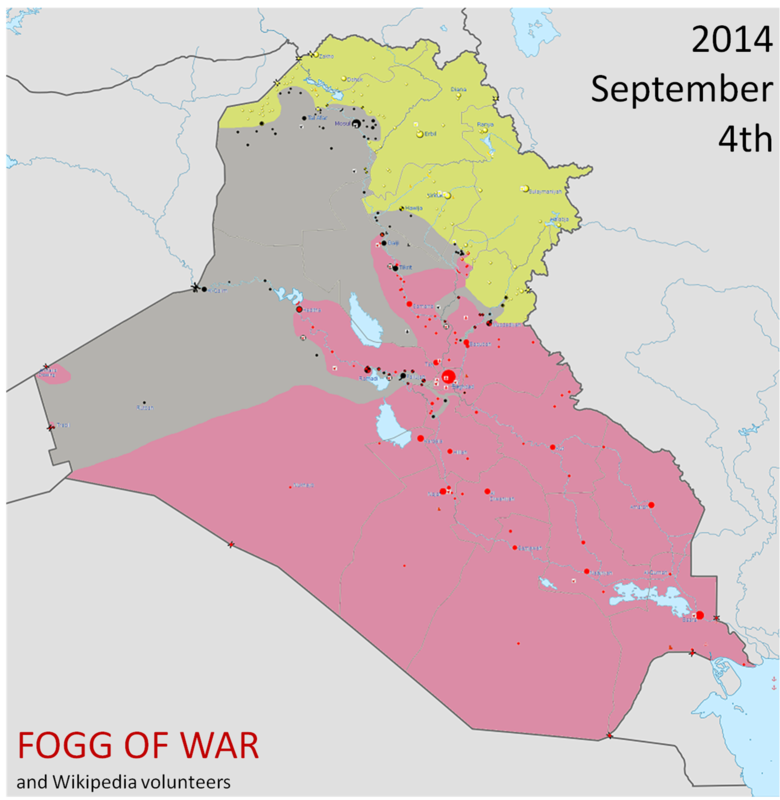 The Kurds are moving so fast that the venerable Wikipedia article map on the ISIS war hasn't caught up yet. Enjoy your well-deserved vacation, user/editor Eratosthenian. After taking Tall Abyad, the Kurds pushed south to secure Ain Issa and the nearby Brigade 93 army base. First, I'll draw it on the Wikipedia map I've been using for some time to give general context. Looks like a march to al-Raqqah! 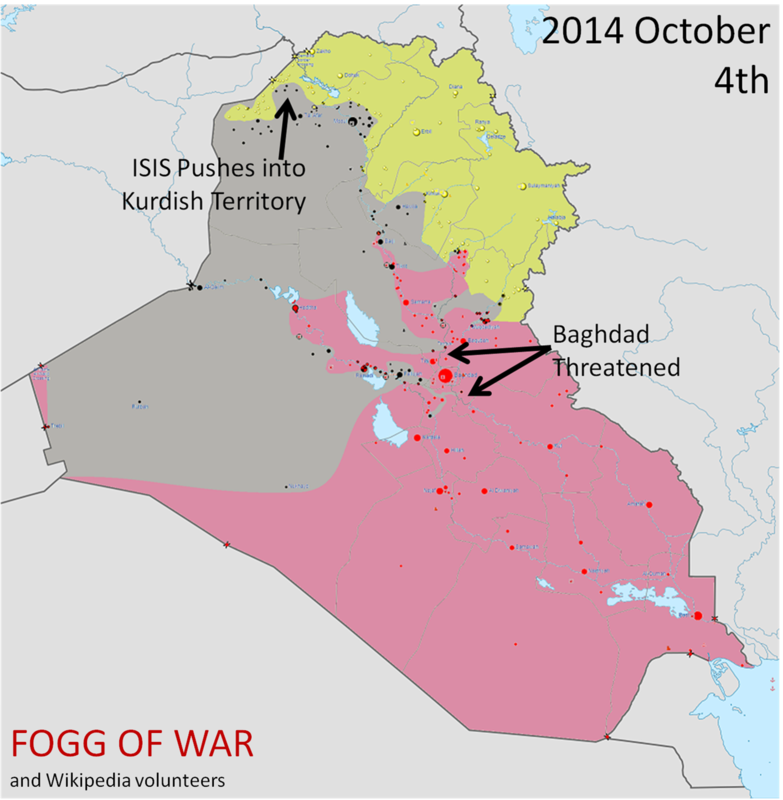 Don't get too excited: the Kurds have no intentions of assaulting the city. 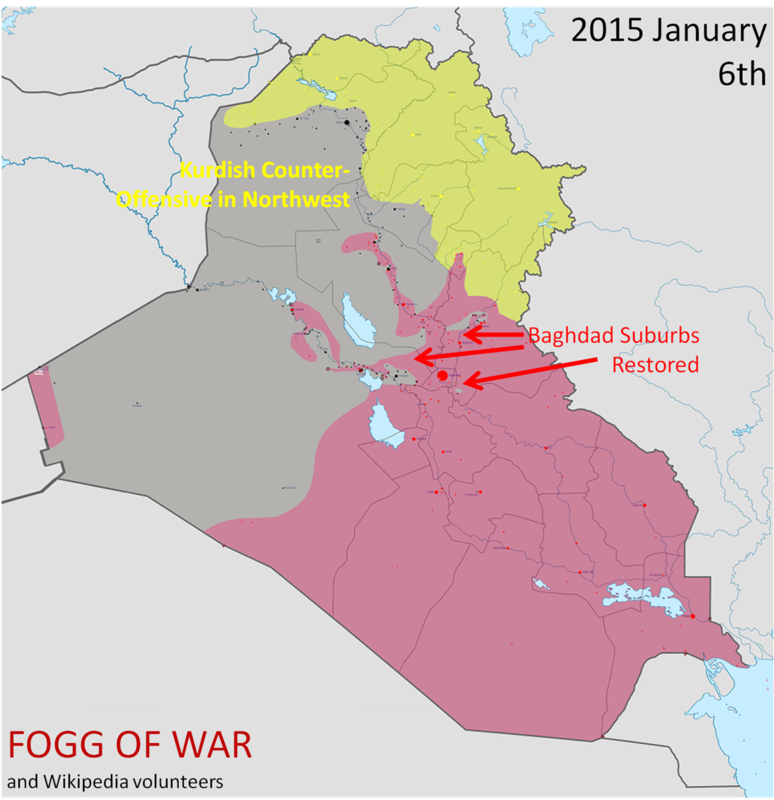 But there's still very good news afoot: the Kurds are setting up their final choking of ISIS, which will assist the war efforts in both Iraq and Syria even if the Kurds sit around doing a whole lot of not-much once they regain Kurdish territory. Let's look at a map with some roads for context--I doodled on Google Maps to get the idea across. The lines aren't that accurate mile-by-mile, but bear with me. In the lower-right of the map we see al-Raqqah. 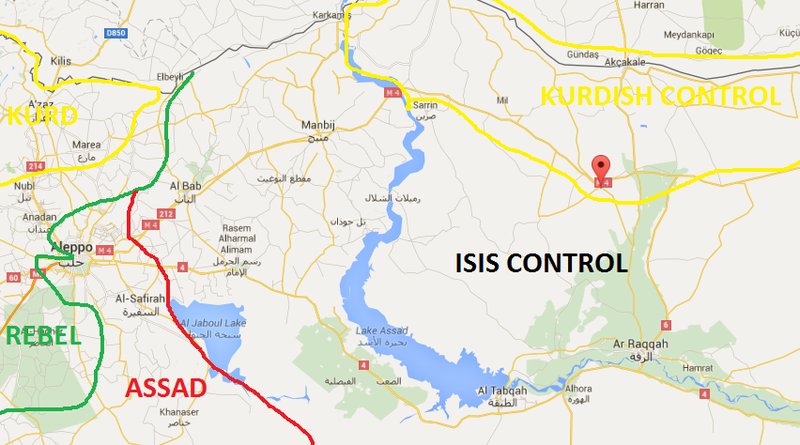 Route 6 goes north to Tall Abyad, which is the closest crossing out of ISIS territory, to Turkey. We know that for some time, people, goods, and arms were flowing out of Turkey into Syria from the border crossing there. Now they're not. Already ISIS-held territory is seeing a spike in the price of food and other basic goods (according to the Syrian Observatory on Human Rights), which means shortages could loom if they're not able to establish another supply line elsewhere: the Euphrates has limited agricultural capacity and most domestic food comes from the West, which is not under ISIS control (and Syria is a net importer of many staple goods, like wheat). ISIS may be facing food shortages in the future, which could cripple the regime far faster than airstrikes. 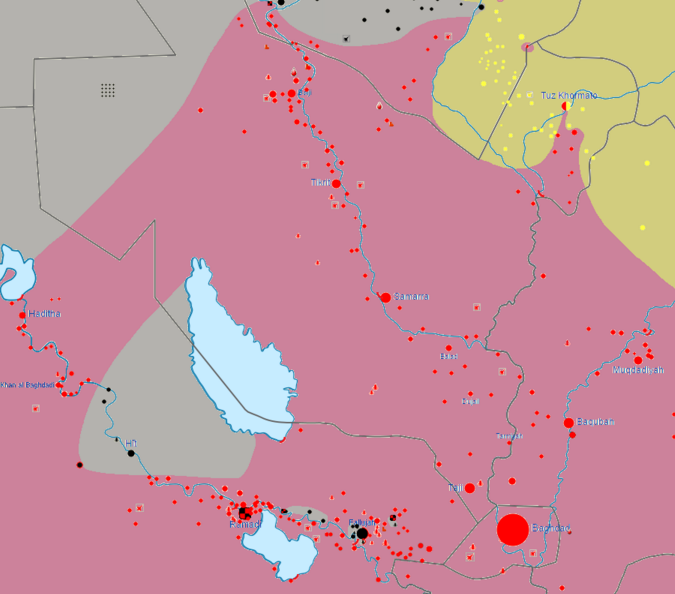 Why is Ain Issa (the red-black marker on the map north of al-Raqqah) significant? Ultimately, it blocks ISIS from having access to the M4, which means the Kurdish rear is secure for an assault on Manbij. 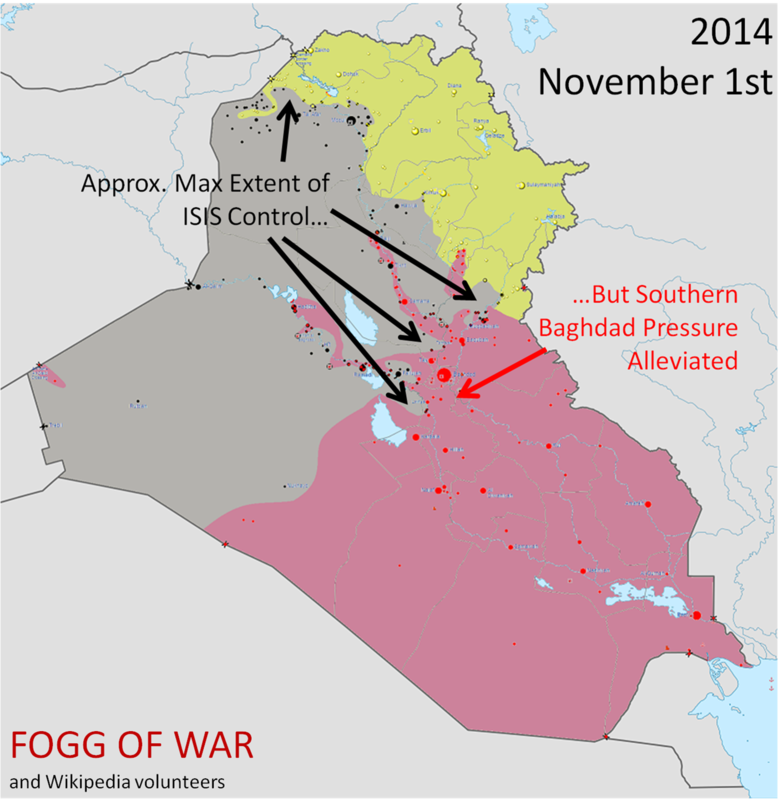 To get West from al-Raqqah, ISIS must travel along route 4 to the south of the Euphrates. Expect the Kurds to be regrouping quickly from the Tall Abyad assault, consolidating Samin, and then racing across the Euphrates via the M4 to take Manbij and Al Bab, both of which are heavily-settled Kurdish areas. Given recent Kurdish success so close to al-Raqqah and their new-found positioning advantage from taking Ain Issa, I expect the Kurds' chances are good. The Kurds' final push in Syria will be to link up with their forces in the northwest and establish a secure front just north of Aleppo and across the Turkish border. Once they do this, they'll control all border crossings to Turkey, cutting ISIS off completely from foreign trade or smuggling. 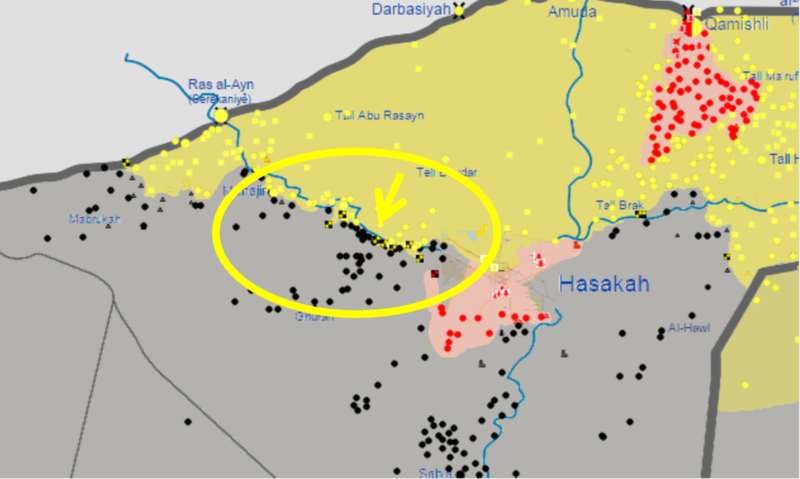 Securing al-Hasakah will also cut ISIS off from a concentrated area of arable land. (I've included USDA agricultural maps of Syria and Iraq below to emphasize that ISIS' holdings are largely a bunch of non-arable desert). ISIS has been funded primarily through plunder and extortion, rather than production: without places to trade, their (admittedly vast) reserves of cash will become far less valuable. It will become very hard, very quickly, to get access to foreign fighters, weapons and ammunition, and food. 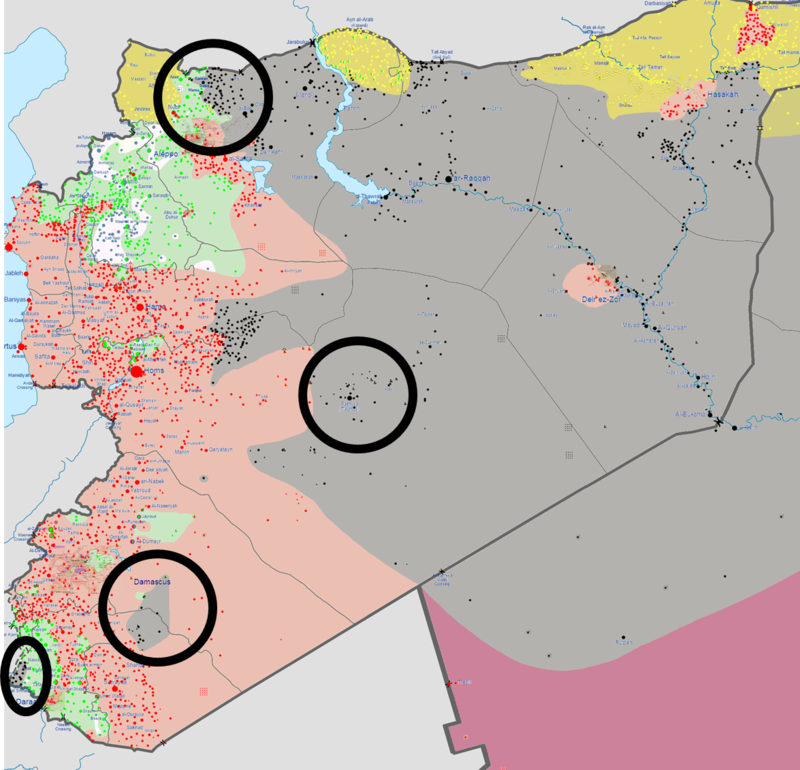 The Kurds completing their conquests of northwestern Syria and the areas around al-Hasakah will complete a trade, recruitment, and agricultural choke-hold of ISIS, meaning time will no longer be on ISIS' side. And that's a really, really big deal. The Kurds have, in a few days, closed the gap around Tall Abyad and pushed south of the river in the east towards Hasakah. In a series of Middle Eastern wars that have chugged along with agonizing sluggishness, this arena has moved shockingly quickly. In Tall Abyad, fighting continues, but Kurdish forces made sure to surround Tall Abyad from the south, creating pockets to squeeze in on and eliminate the ISIS forces there, rather than letting them flee towards all-Raqqah, which should dampen the risk of a major counter-offensive. The Syrians will be grateful for the closing of the Tall Abyad border crossing. This will mean a bit of long-term relief from ISIS so they can focus on killing each other instead. 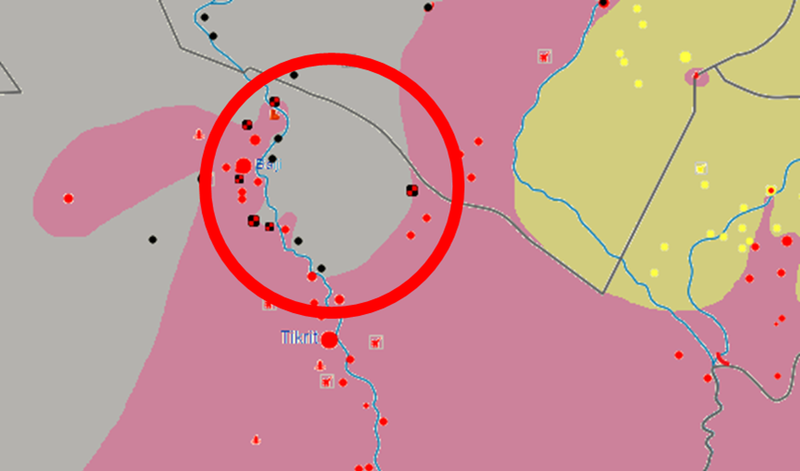 In the east, the offensive to the east of Hasakah will make inaccessible both Route 1 and Route 47 that head to Mosul. 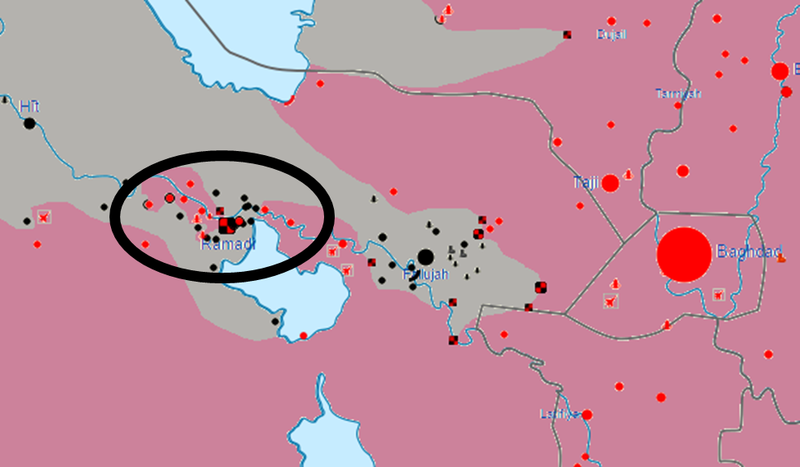 This would essentially cut off Mosul from ISIS reinforcements in Syria, where they're strongest. To get to Mosul, ISIS would have to run convoys through the desert and well away from major metropolitan areas, making them easy pickings for coalition jets. The Iraqis will be grateful. 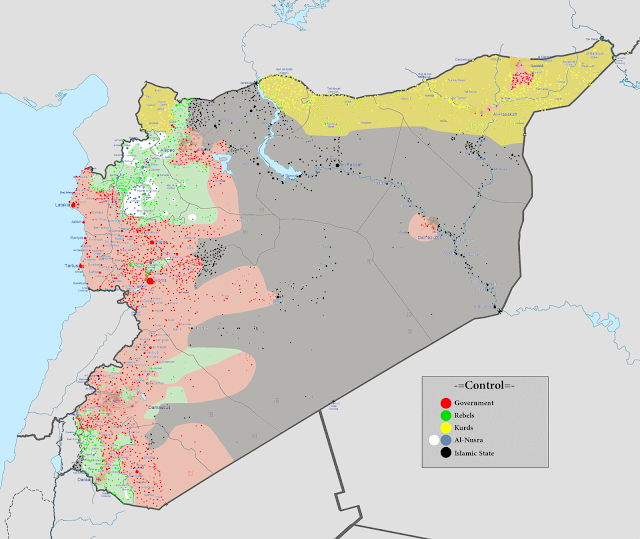 In the medium-term, if the Kurds can hold off any ISIS counter-attacks (which seems likely--Syrian ISIS are bogged down in the west), they'll move west to take Manbij and close the gap between their central forces and their forces hanging out in the northwest of Syria, which would make the Kurds in control of all predominantly Kurdish territory in both Syria and Iraq. The Kurds are likely hoping for at least an autonomous zone in Syria, like they have in Iraq--and depending on how long/damaging the Syrian civil war is, they might just be able to break off and form their own country. 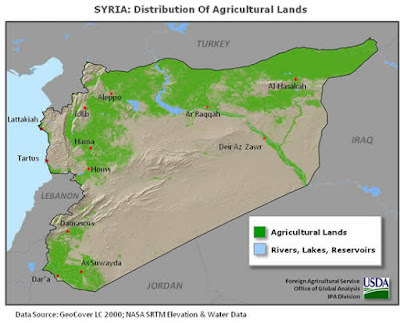 They're showing a capacity to defend and govern in Syria, where the Assad and rebel governments have not. The expansion of Kurdish territory in Iraq is likely to also expand Kurdish governance in those areas in the long-term, though the Iraqi government is not so broken-apart that they'll allow the Kurds to break away entirely. This war is a roller-coaster ride: ups-and-downs, victories and defeats. Today we get to focus on some good news. 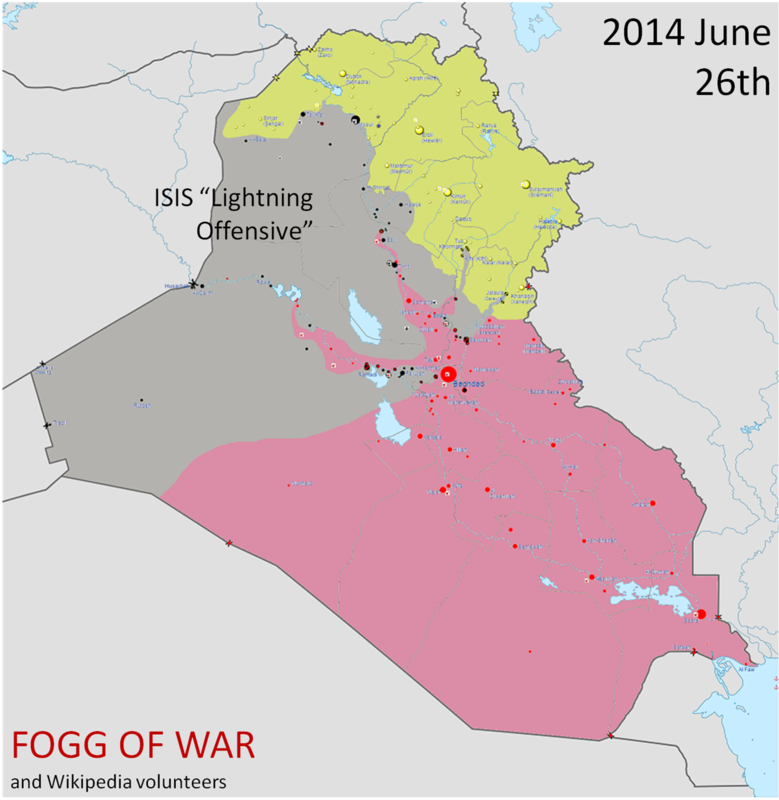 ISIS seems to have weakened itself in some areas in order to launch offensives in others. 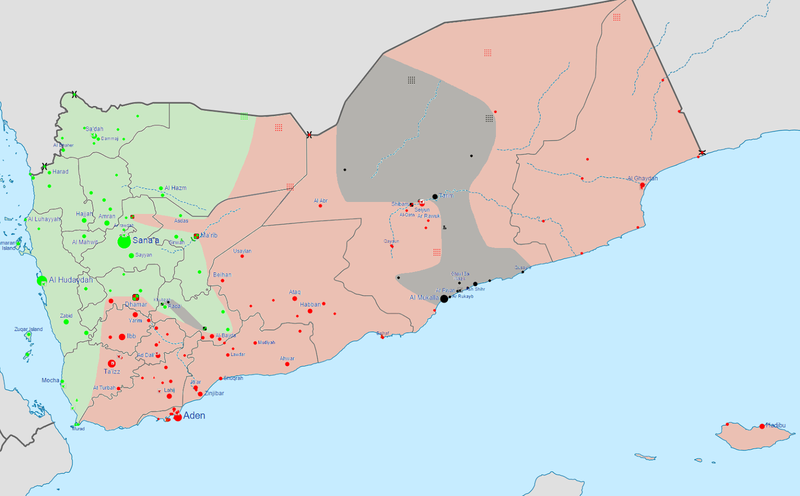 According to CIA estimates it only has a few tens of thousands of troops (20-30k), and it's trying to fight over a vast territory. It's bound to have weak spots. We also know that Iraq is much better at offensives than on the defense: being able to pound targets with artillery and US airstrikes and assault once they're "softened" is much easier than trying to hold out by standing around, waiting for a bunch of nearby cars to all blow up at once. Iraqi Shiite militias are also about as tough as the Kurds, so in areas where Iraq can employ them (in the east), they also tend to have greater successes. 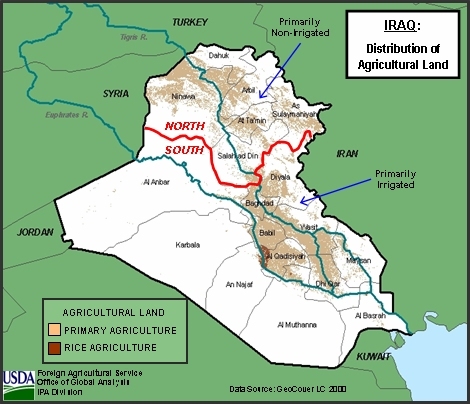 Such has been at the root of a recent decisive territorial gain by Iraq. Iraq counter-attacked not in Ramadi to try to dislodge ISIS there, but in Baiji, north of Tikrit. In about a day they were able to move in and take the city center and refinery, and are now mopping up suburbs, engaged around the entire area. 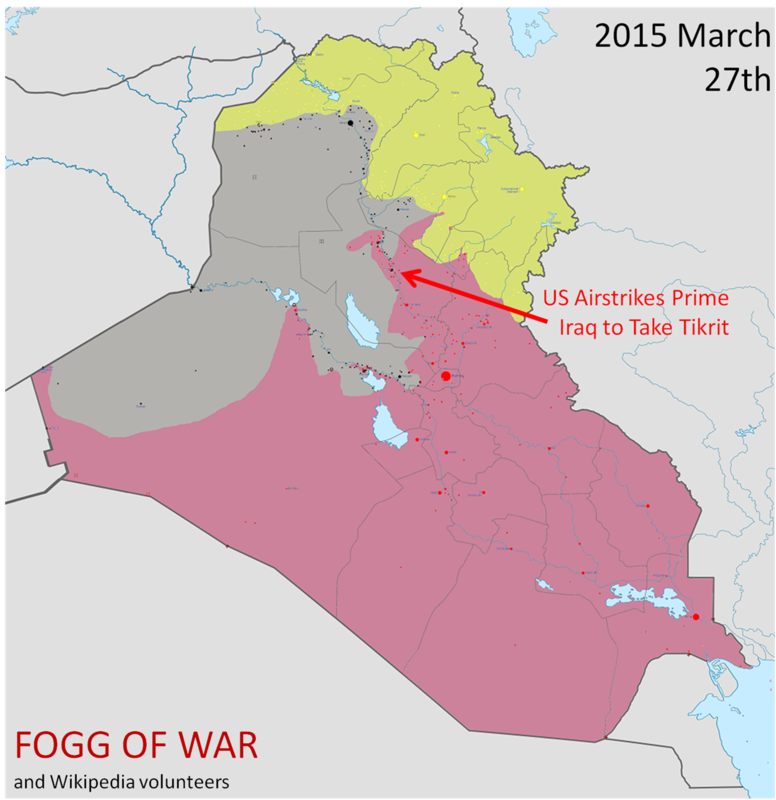 If it's anything like post-Tikrit, we should expect that whole area to be red in a week. It sets the Iraqis up to be able to push north towards Mosul, which they may do next rather than getting too entangled in Anbar in their march to break the back of ISIS. Over the past two weeks the Kurds have been ripping across ISIS-held territory, liberating hundreds of villages. 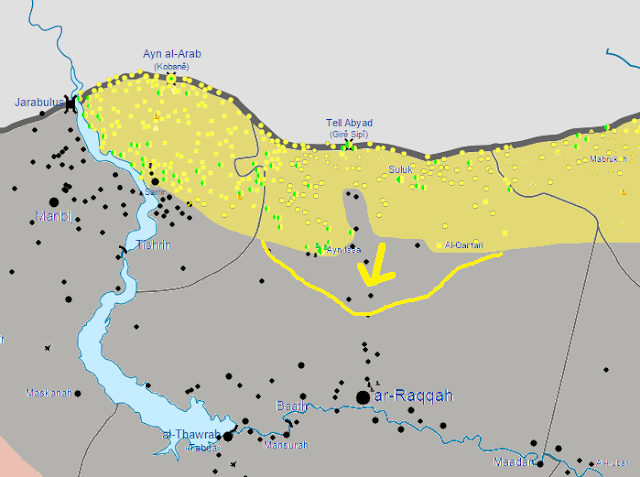 They're looking just weeks away from closing the gap in the north and linking up at Tall Abyad. 1) The Kobane forces--hardened, reinforced, and supported by US airstrikes--are pushing east after consolidating territory to the south. 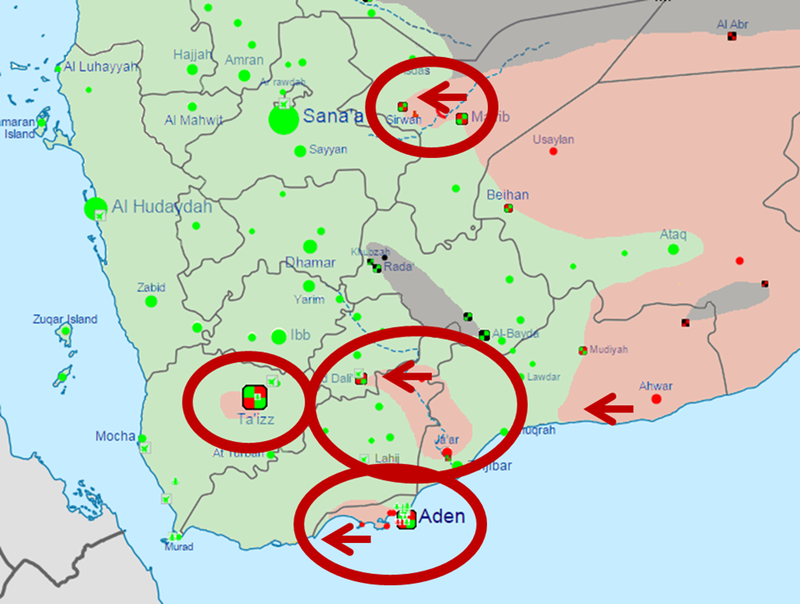 2) Forces from the east are pushing west to link up with them, though a bit more slowly. They're showing no signs of stopping right now. 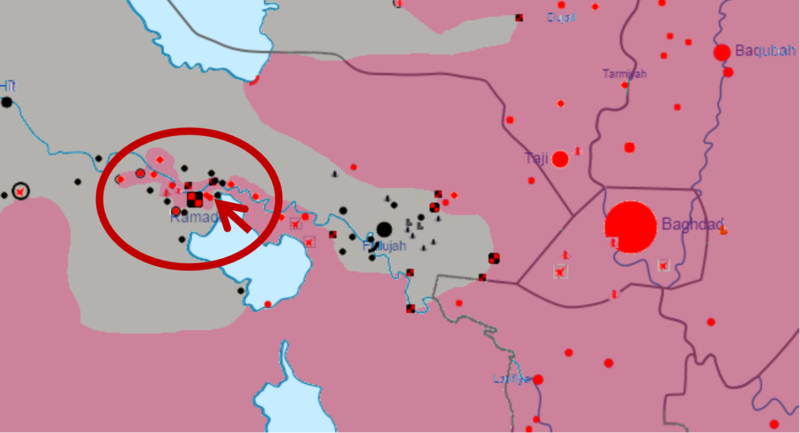 3) After being bottled up for months at the Tall Tamer river crossing, the Kurds broke through and have liberated a densely-populated Kurdish population there, securing the west side of Hasakah. 4) We can see Kurdish forces have also broken through the river at Tall Brak, and are pushing south, likely to surround ISIS forces in Hasakah and secure the border crossing into Iraq from the other side. 1) It will stop the flow of fighters and arms coming from Turkey into Syria, so it will be harder for ISIS to refill its ranks and supplies in Syria. 2) It will mean the continued killing of ISIS troops. 3) It will make it harder for ISIS to reinforce Mosul--they'll be down to one highway in the desert (they won't be able to sneak north through more populated areas) so their supply trains will be highly vulnerable to airstrikes if they attempt reinforcement and resupply during the Iraqi/US assault. Over the past few weeks, ISIS has made a major comeback in Iraq and has gained significant ground in all the non-Kurdish parts of Syria. 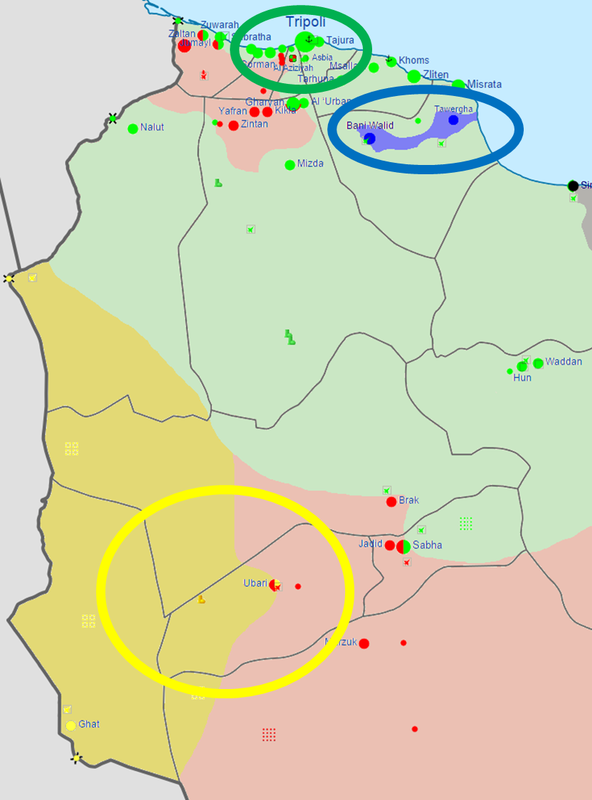 They're expanding territory in eastern Libya amid the renewed civil war there, and hold almost all of eastern Yemen. It's looking bad. The American/Jordanian-led air campaigns are just not enough to keep them bottled up. In Anbar (Iraq) and northern Syria, there are a few bright spots that are worth highlighting. Ramadi fell to ISIS a few weeks back, despite a significant numerical advantage on the part of Iraqi forces. US command says the Iraqi forces lost their will to fight, which is surprising, given the number of attacks they'd repelled in the previous weeks. Iraq is responding by sending in the Shiite militias, though right now it seems that they're working on surrounding Fallujah rather than Ramadi, which suggests that ISIS forces had been dispatched from Fallujah to take and hold Ramadi, leaving Fallujah open to attack. Shiite militias in Sunni-dominated Anbar will doubtless be a major problem, but Iraq is stuck choosing between bad options if its regular forces turn tail when attacked. 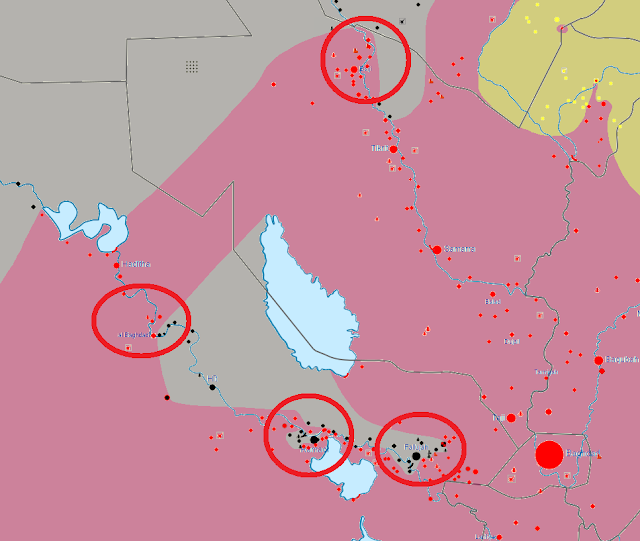 In all non-Kurdish territory, ISIS keeps pushing south and west. They've taken Palmyra and are now holding positions near both Damascus and Daraa. 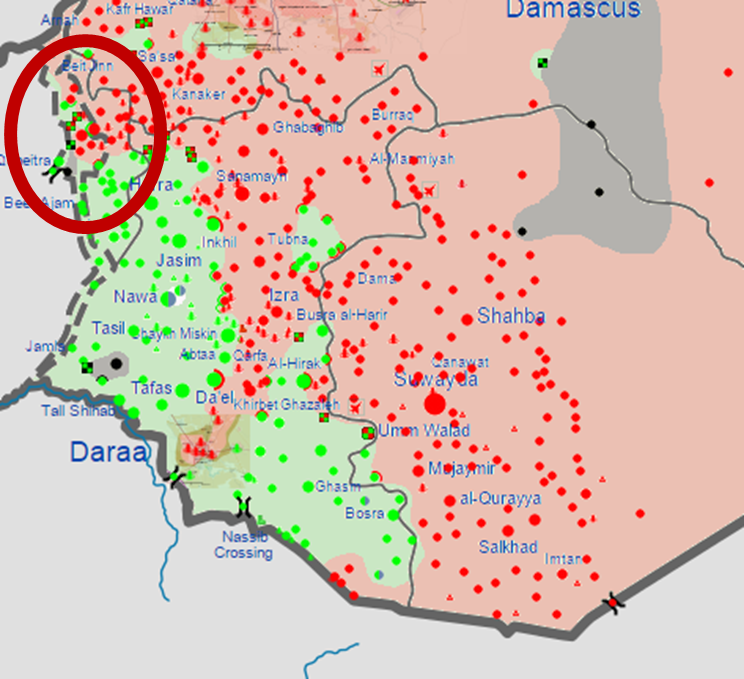 I'm thinking that the best hope to end the war is that ISIS threatens Damascus and other major population centers like Daraa and Homs so much that the rebels and gov't form a deal to deal with them. 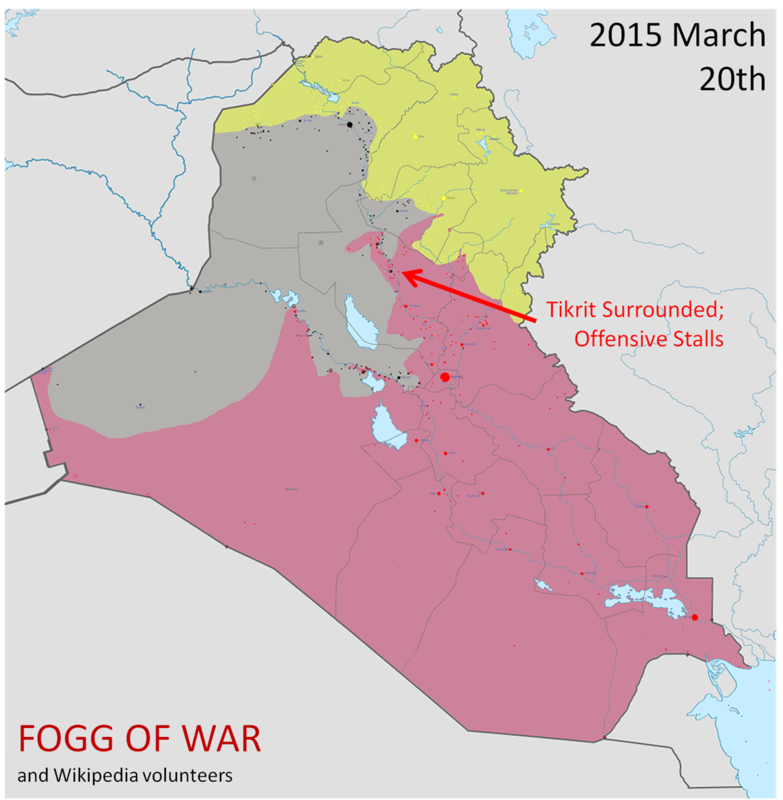 The one bright spot is that the Kurds have gone on a major offensive. They finally crossed the river in the northeast to reclaim hundreds of villages that ISIS held, and they're moving fast. They've alleviated pressure on Qamishli and are surrounding Hasakah from the west. From Kobane, they're moving east towards Tall Abyad, albeit more slowly--this crossing is an important supply line from Turkey for ISIS and they'll fight for it. 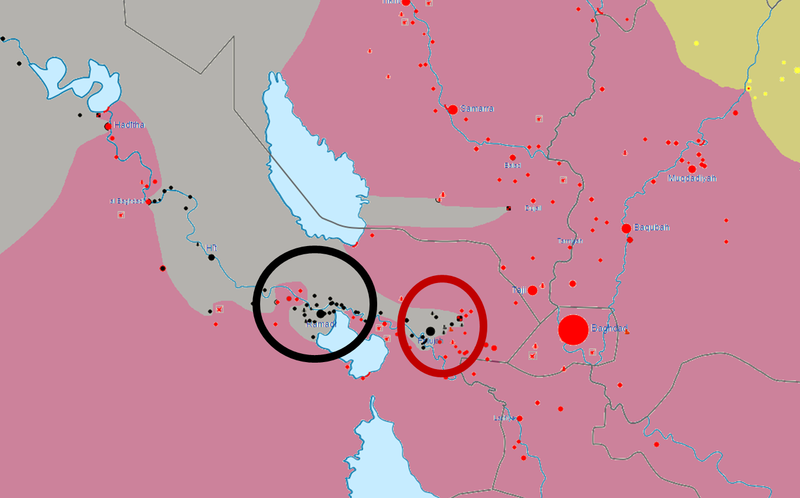 But the Kurds are looking poised to link up in the north. I also anticipate they'll keep moving south from Qamishli to surround Hasakah from the east... but they'll probably stop there and hold, as liberating al-Raqqah (ISIS' capital) is not on their agenda. They're looking out for their own. 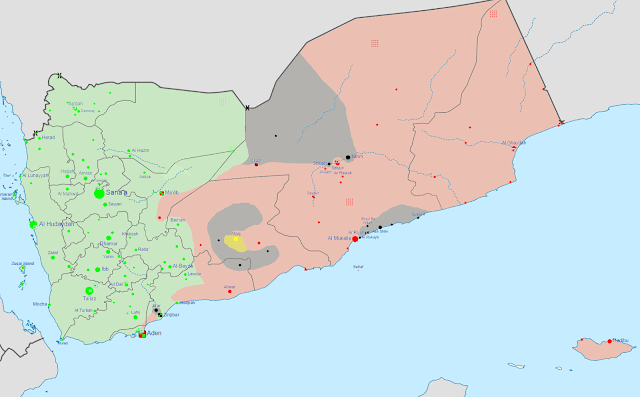 In Yemen, the government forces are so pressed by Houthi forces in the west that their eastern backyard has been almost entirely taken over by ISIS. There's little in the way of good news there, and the stalemate--like in Syria and Libya--just means more room for ISIS to maneuver. 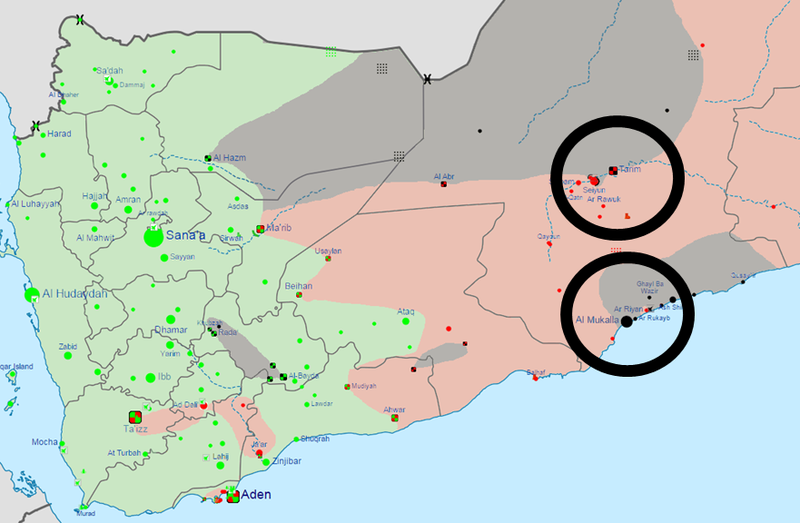 Saudi Arabia and Syria are more concerned with the Houthis than ISIS right now, so ISIS gets to roam free. Similarly, stalemate here means ISIS gets room to play. The Tobruk government just can't bottle ISIS up in the east, and they're taking control of population centers. Ansar al-Sharia, an ISIS ally for the moment, holds parts of Benghazi. 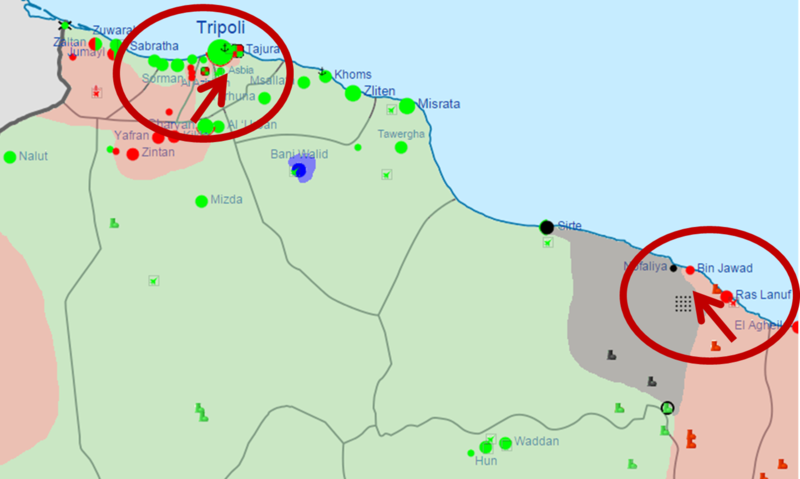 It looks like the government offensive towards Tripoli has stalled out completely. What's odd about this conflict is just how little fighting is actually happening. Looking at the Wikipedia article gives a sense of how oddly quiet the past few months have been, and how few casualties there are. I'm not sure why it's slowed down, particularly in the east (although gov't forces are still fighting in Benghazi). Finally, a bit of good news. An ISIS member took a selfie at a big Syrian ISIS HQ, posted it with a location to the Internet, and that gave the US the intel necessary to bomb the HQ, destroying it completely. Even in the past few days, we've seen escalation in the Little Wars. As things heat up near Mariupol, Russia is adding command-and-control assets, air defense, and artillery to its border with Ukraine. NATO thinks Russia is readying for a new Ukraine offensive. Russia has rightly calculated that it's going to continue to get away with its offensives; the EU and US will neither provide arms nor guarantee Ukrainian sovereignty, which is about all Russia needs to feel invited to roll in. Russia is also sending supersonic strategic bombers to Crimea, both establishing their hold over the area and getting some pretty deadly hardware as close as they can to Kyiv, just in case. It's not that the West isn't responding in some ways. The US and Canada are throwing a bit of money at the problem, and the US is putting money into counter-propaganda in eastern Ukraine, where Russia is currently drumming up support by alleging systematic murder of Russian ethnic people by a fascist Kyiv government. US warships are now escorting American-flagged cargo vessels through the Strait of Hormuz to prevent Iran from nabbing any more. This means a heavier, bristling fleet presence in Iran's territorial waters, which ups the ante and is probably designed to establish status quo US presence there, with Iranian aggression as the pretense. We'll see how Iran responds--there's not much they can do directly, but like the capture of the Maersk, they may find another way to be a thorn in the side of the US. Iran's motives for capturing the vessel are still unclear (and the public statements are highly dubious). Iran is currently close to Russia in part because Russia does not have sanctions on the country, and Russia wants to keep it that way. If the Iranian nuclear deal works, the West will start trading with Iran again, which would be a huge boon for the economy. Frankly, the massive US/EU markets provide a much more appetizing treat for Iran than the sluggish Russian petro-conomy. Iran has more than enough petrochemicals and doesn't want vodka. So Russia (and China) might actually be trying to "nuke" the deal, as it were. Forbes' Russia-China expert talks about it here (thanks to reader Nathan for pointing me to this). The US could soften/weaken the alliance between Russia and Iran with the deal, as well as finally have access to Central Asia (also under Russia' indirect control), which would be a huge boost in the Great Game. 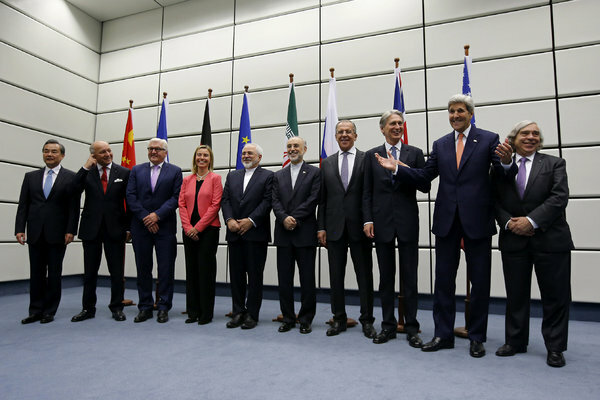 Could the nuclear deal happen? Sure: the US and Russia made all sorts of similar deals throughout the Cold War, even while facing off in places like Korea, Vietnam, and Afghanistan. We'll take a quick break from battle lines to look at the "little wars" going on between US/allies and Russia/Iran. 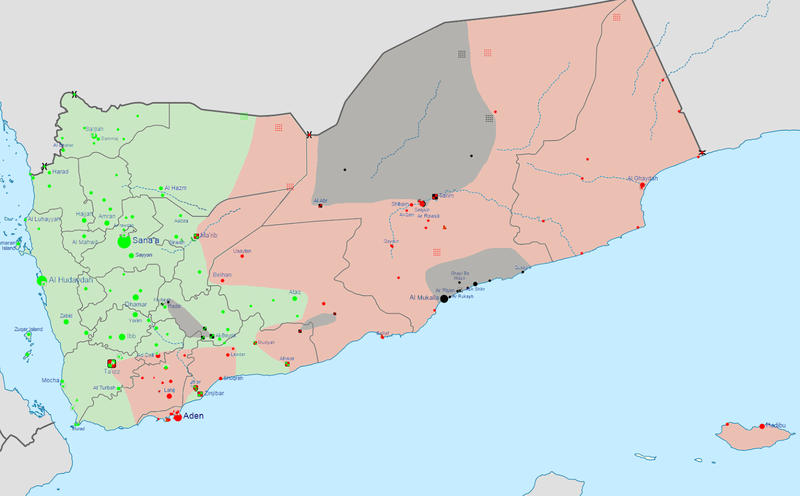 Much like during the Cold War, we're seeing regional military action that threatens regional escalation as outside powers become more involved. 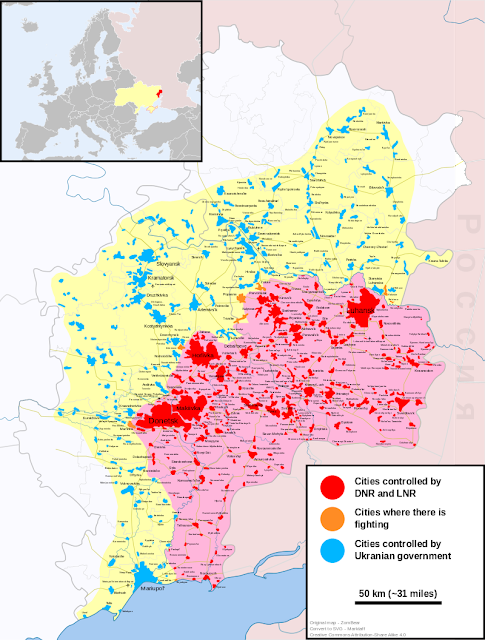 Shelling from rebels in Ukraine has started back up (using rocket launchers and tanks that are both banned and were-never-there-in-the-first-place), which we predicted after Minsk II: the deal with Russia caused successful withdrawal of Ukrainian troops from key areas--especially Mariupol, which is next on the rebel/Russian list of targets. Unsurprisingly, the shelling is happening in Shyrokyne (along with reported rebel presence and gunfire exchanges), just east of Mariupol. Ukraine requested EU peacekeepers; they have been refused. But Poland and the US continue to reassure Kyiv that they will provide support. The US recently deployed anti-air batteries to eastern Ukraine and says it will keep sanctions on Russia until it has completely fulfilled Minsk II. Even more interesting: Finland spotted what might be a Russian submarine off its coast in its territorial waters, and dropped depth charges with the intent of scaring it off. Sweden did the same in October. This is another sign, along with continued military exercises near Estonia, that Russia is testing Western resolve and may be intending to create a clearer "sphere of influence" at its border areas where Western military powers cannot operate. Finland and Sweden aren't part of NATO and, like Ukraine, don't have that military umbrella (though unlike Ukraine, they are part of the EU and therefore have more standing to request help). Unlike Ukraine, their militaries are formidable and they do not have restive Russian populations, so don't expect an invasion any time soon; but there may be a rising conflict over the Baltic sea as Russia tries to expand its sphere. Last week, US carrier Theodore Roosevelt moved to the coast of Yemen in order to turn away Iranian cargo ships likely carrying arms for Houthi rebels. The ships were deterred, meaning the US now has a partial blockade of Yemen and has for all purposes entered the conflict. Roosevelt has moved back to the Persian Gulf, but the point seems to have been made. For reasons not yet clear, 5 Iranian combat vessels intercepted a US (Marshal Islands) cargo vessel heading into the Strait of Hormuz, demanding it move towards Iran. After the cargo ship refused, Iran fired warning shots across its bow, and then escorted the ship into Iranian waters and boarded it. 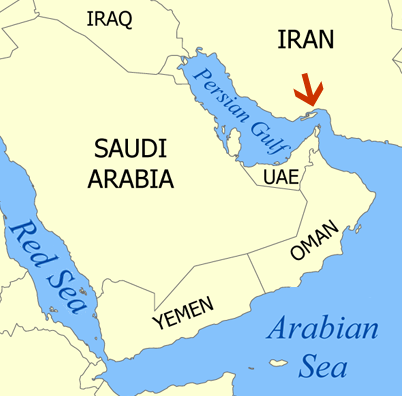 The Strait of Hormuz is a free-go zone (it's all Iranian territorial water but is subject to innocent passage law). The ship may have moved closer to the shore than Iran may have liked, but typical protocol is to demand that such a ship leave, not come closer. So it's interesting behavior. The US has sortied jets and a destroyer to the area to "monitor." American forces aren't likely to open fire or create a direct confrontation, but Iran now has 34 crew members held hostage. It may be a muscle-flexing strategy or Iran may be looking for a negotiating chip of some sort in its standoff with the US over Yemen. It's the most direct conflict the US and Iran have had in the past few years. At the very least, Iran is making clear that it has no intent to be pushed around by the US, but the Obama administration is unlikely to respond to this by capitulating on Iranian arms shipments to Yemen. Expect a simmering conflict here, as well. Like in the Cold War, these "little wars" are unlikely to escalate into major superpower conflict--it's something nobody wants and something that's hard to back down from once started. The risk is that Iran and Russia are so inundated in comically-absurd propaganda that it might be politically difficult to save face if backing away from conflict, so these escalations must be managed very carefully. This will be a longer-term trend over the next decade--the US' "war focus" is likely to shift to an ongoing cold war with Iran and Russia as its attention leaves Afghanistan and Iraq. Once ISIS is pushed out of Iraq and negotiations between Kabul and the Taliban are complete, the US will have its hands newly quite full with Russia and Iran. But that is likely going to be a problem that comes to a head during the next administration. 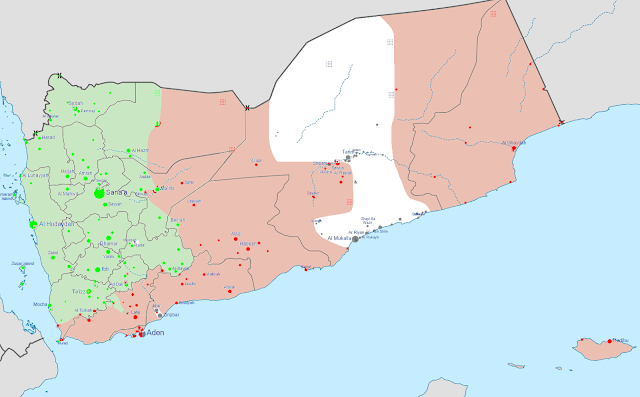 There's been moderate but notable movement in the past few weeks across war fronts in Libya, Iraq, Syria, and Yemen; I'll highlight them below. 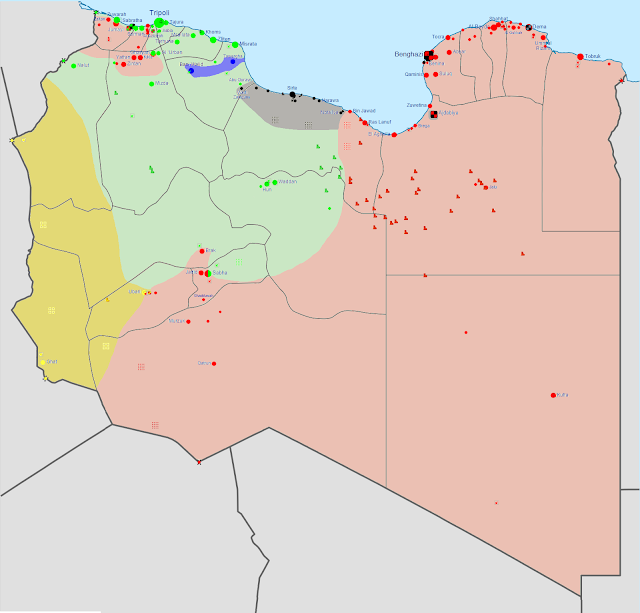 After having been initially repelled, army troops (loyal to the elected government) have moved to encircle Tripoli with support from Zintan militias. They've also moved into Ras Lanuf and Bin Jawad from the east, taking those towns back from ISIS. 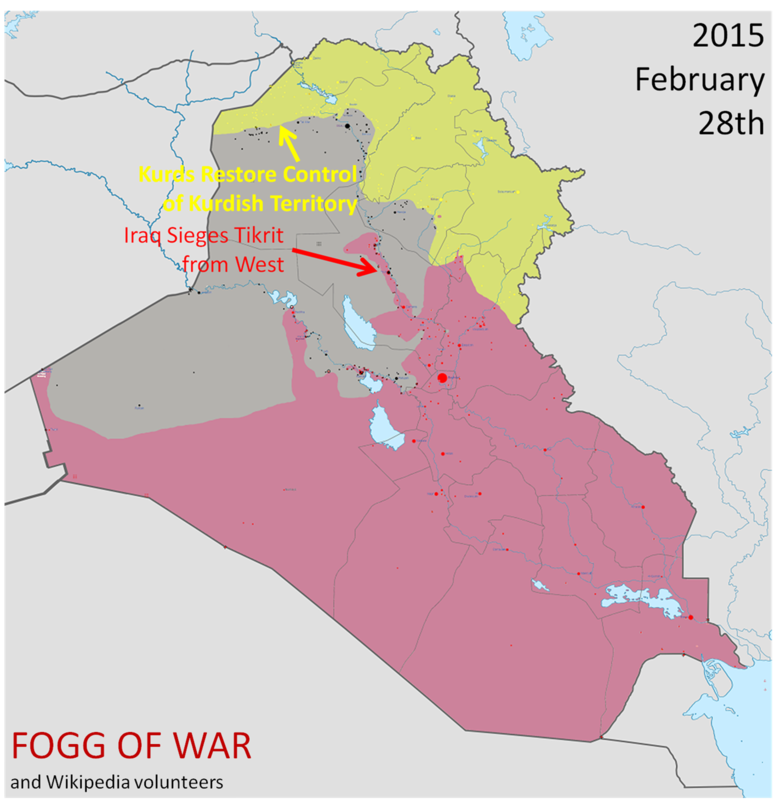 Government reinforcements have almost surrounded Ramadi, and will counter-siege the ISIS troops in the city. 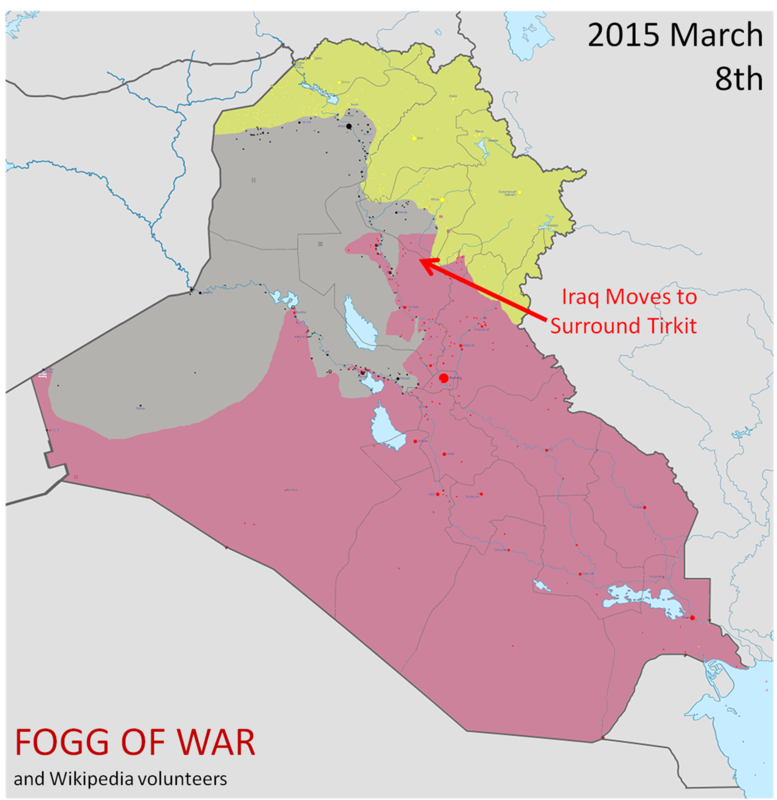 If they take it, expect the government to attempt to similarly encircle Fallujah, just to the east. Kurdish troops are making very slow progress across the Nar al Khabur river into a densely-populated area of Kurdish villages under the control of ISIS. They're battling desperately to take these villages back after finding mass graves in the area. Free Syrian Army troops are making agonizingly slow progress against Syrian government troops in the south, around Daraa. They've recently taken the Nassib crossing and reinforced the Quintera crossing. Closing off Daraa has been attempted and repelled a few times, but would give the FSA access to the highway going north towards Damascus, their final target. 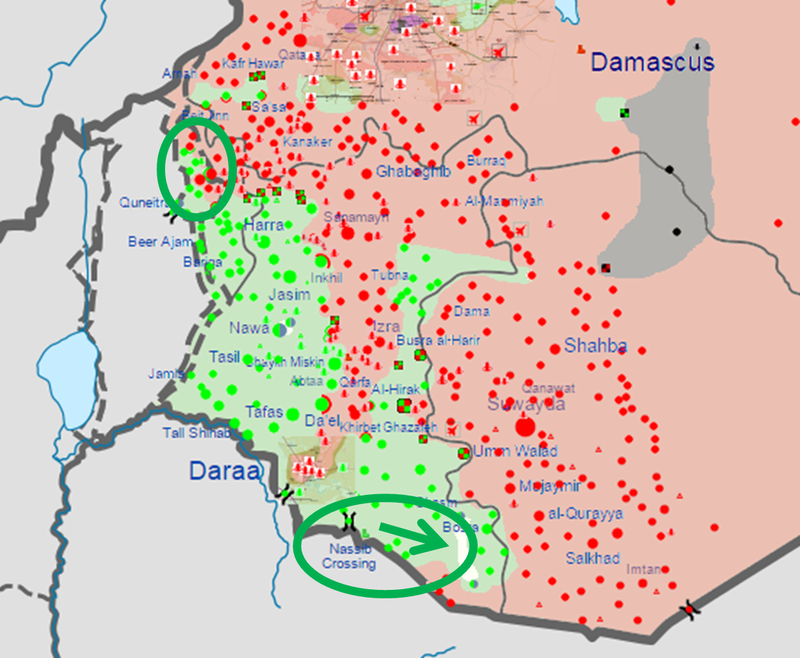 They may attempt to circle in from the west, near Quinteria, to link up with pockets of troops to the southwest of Damascus. The Saudi coalition's air campaign has reversed the Houthi tide, and government troops are making some gains. 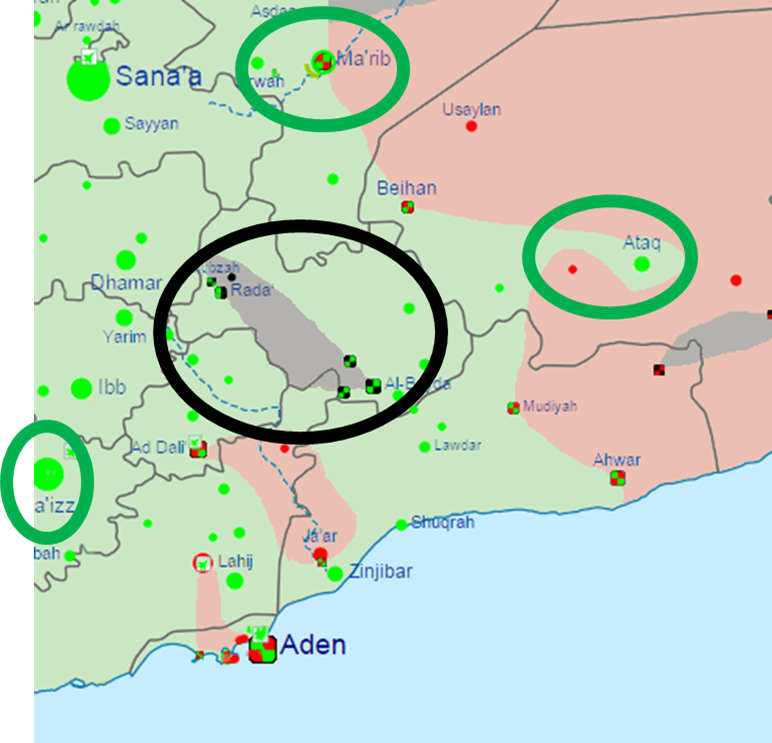 They're barely holding on to Aden, and are trying to relieve pressure by taking surrounding areas to the west, northwest, and north of the city. They've also moved west from Madrib and are attempting to use Saudi air support to seriously threaten Sana'a. And, because it will make everyone's day: ISIS and the Taliban have declared jihad against each other. To show progress against ISIS in Iraq, the Pentagon put out a graphic that is somewhat comically difficult to understand. But after the Pentagon's disastrous Powerpoint slide on Afghanistan, we've come to expect little else. So I decided I'd work with the fine folks in Wikipedia (thanks, guys!) to make a GIF that shows how the battle lines have moved since the ISIS offensive with a few pointers about key events. It's not perfect, but I think it's a big improvement. Enjoy, and feel free to share or put in your own content.